You Are Here: Home > How Long Does The Average Tire Last? How Long Does The Average Tire Last? Your tires are one of the most important aspects of your vehicle, and extending their usage and ensuring their well-being should be a priority for all drivers. With that being said, tires, like the majority of standard car parts, can only continue to do their job at their highest level for so long before they’ll need to be replaced. While this is inevitable, drivers can stay on top their tire health and prepare for replacements. But how long does the average tire last? 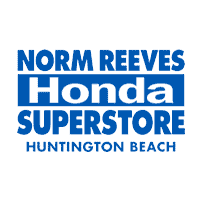 Norm Reeves Honda Huntington Beach is prepared to help drivers of Fountain Valley, Costa Mesa, and Newport Beach whenever they experience a flat or worn-down tire. To help you get a jump-start on your replacement tires, we’re here to provide you with some beneficial tire knowledge. How do tires wear down? Your tires take on a substantial burden. 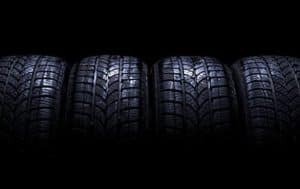 No matter what type of driver you are or what kind of car you drive, because your tires are what connect your car to the road, they’re going to experience some damage. Heat, uneven roads, and reckless driving are the three main ways that your tires wear down. Driving with under-inflated tires is also a way in which your tires will wear down faster as well as driving your vehicle when your wheels aren’t aligned. Failure to rotate your tires results in uneven tread wear, which also reduces the lifespan of your tires. How long should your tires last? Assuming that you keep up with your tire maintenance and don’t experience any premature damage, your tires should hold up for about 50,000 miles, or three to four years. With that being said, drivers have experienced various mile intervals in which their tires have worn down. There are many factors that play a part in premature tire wear, ranging from weather patterns that affect your everyday commute to how fast you drive on average. By taking precautionary measures and monitoring the well-being of your tires, you can keep them in optimal condition for 50,000 miles or even more. When residents of Fountain Valley, Costa Mesa, and Newport Beach experience issues with their tires, they bring their cars to the Norm Reeves Honda Huntington Beach service center for tire services in Huntington Beach, CA. You can schedule your next tire replacement, rotation, wheel alignment, or checkup with us online.